In the final week of the regular season at Busch Stadium, the Cardinals took on the Cubs for the final time in 2017. It did not go well for the Redbirds as they were formally eliminated from the NL Central race with this defeat. The Cubs scored four runs in the first inning against Luke Weaver and never looked back. Weaver pitched only three innings and gave up eight runs on seven hits, including two long balls. The right hander fanned three and walked two. Jack Flaherty added a scoreless fourth inning. Ryan Sherriff tossed two scoreless innings of relief, followed by one scoreless inning from Sam Tuivailala. Sandy Alcantara allowed two unearned runs in 2/3 of an inning before Zach Duke finished the inning. Josh Lucas pitched a scoreless ninth. Weaver took the loss, his second of the season. The Cardinals offense managed single runs in the second and seventh innings, both via the long ball. Jedd Gyorko hit a solo home run in the second and Luke Voit did the same in the seventh. Gyorko was 3-for-3; Dexter Fowler was 2-for-3. In the field, Alcantara made a throwing error. The second game of the series was a nail biter, but the Cardinals prevailed in the end. Matt Carpenter started the scoring with a solo home run in the first inning. Tommy Pham followed with a two run shot in the second. In the seventh, Jedd Gyorko and Randal Grichuk both hit solo home runs. Two additional runs came home in the first on a Grichuk RBI triple and a fielding error. Paul DeJong plated a run on a double in the fifth inning. Gyorko, DeJong, and Grichuk were each 2-for-4. Pham was 2-for-3. Starter Carlos Martinez pitched 4 1/3 innings, giving up three runs, two earned, on four hits. The right hander struck out six and walked four. Zach Duke tossed 1 2/3 innings of scoreless relief. Tyler Lyons surrendered two runs in his one inning. John Brebbia started the eighth and allowed two runs; Juan Nicasio got the final out of the eighth, and returned to pitch a scoreless ninth. Duke got the win and Nicasio the save. On the base paths, Tommy Pham was picked off first base. In the field, Carson Kelly was charged with catcher interference. In Game 3 of the series, the Cardinals offense was again shut down. The only Redbirds run came in the second inning on an RBI single by Paul DeJong. DeJong was the only Cardinal with multiple hits, with two in four at-bats. Starter Michael Wacha pitched six innings, giving up five runs on seven hits. Wacha struck out eight and walked one. Matt Bowman and Zach Duke combined for a scoreless seventh inning. Sam Tuivailala pitched a scoreless eighth and Brett Cecil pitched a scoreless ninth. Wacha took the loss, his ninth of the season. With the win, the Cubs clinched their second straight NL Central title, celebrating their accomplishment on the Busch Stadium turf. The rubber game of the series was another nail biter, with the Cubs coming out on top in extra innings. The Cubs took the initial lead in the first inning, but the Cardinals came back and tied the score in the sixth, when Tommy Pham singled to lead off, stole second base, and advanced to third on a wild pitch. Dexter Fowler drove Pham in on a ground out. Pham was the only Cardinal with multiple hits, with two in four at-bats. Starter Lance Lynn, in what was likely his last start as a Cardinal, pitched five innings, giving up one run on three hits. The right hander fanned five and walked four. Ryan Sherriff, Brett Cecil, Juan Nicasio, Sam Tuivailala, and John Brebbia each contributed one inning each of scoreless relief. Matt Bowman pitched the final inning, gave up the winning run, and took the loss. On the base paths, Tommy Pham stole his 24th and 25th bases of the season. Jedd Gyorko and Harrison Bader were each caught stealing for the second and first time respectively. In the field, Matt Bowman made a throwing error. In the first game of the final regular season series, the Cardinals fell to the Brewers, 5-3. John Gant made the start in the place of Jack Flaherty, and pitched five innings, giving up four runs on seven hits. The right hander struck out three and walked three. Josh Lucas added two innings of scoreless relief. Sandy Alcantara pitched the final two frames, surrendering one run on one hit. Gant took the loss. The Cardinals got on the board in the fourth on Paul DeJong’s solo home run. Jose Martinez’ two run blast in the ninth scored the other Redbirds runs. DeJong was the only Cardinal with multiple hits, going 3-for-4. Magneuris Sierra made a fielding error. The Cardinals came back to edge the Brewers in Game 2 of the series. The loss eliminated the Brewers from postseason contention. The Cardinals fell into a 6-0 hole in the third inning, but the offense rallied in the bottom frame to score four. Paul DeJong drove in two on a double, and Jose Martinez followed with a ground rule double that plated two more. Stephen Piscotty singled in the eighth and brought two runs home to tie the game. Harrison Bader’s single drove in Piscotty for the winning run. Greg Garcia was 2-for-4, the only Cardinal with multiple hits. Luke Weaver had his second poor start in a row. Weaver pitched 4 2/3 innings, giving up six runs on nine hits. The right hander fanned four and walked four. Zach Duke, John Brebbia, Ryan Sherriff, and Juan Nicasio combined to pitch the final 4 1/3 innings of scoreless relief. Sherriff earned the win and Nicasio the save. The Cardinals went out with a whimper, losing the final regular season game to the Brewers without much of a fight against a rookie starter with a 8.00 ERA coming in. The B team started the game, with the lineup consisting of all rookies except for Randal Grichuk, and Aledmys Diaz, back from the minors. The Brewers starter had a perfect game against the Redbirds until the sixth, when pinch hitter Jose Martinez singled to right. The Cardinals scored their only run in the seventh on Grichuk’s solo home run. The long ball was one of only three hits for the Cardinals. With Carlos Martinez pulled from the start in the meaningless contest, Jack Flaherty was given the ball instead. The rookie pitched five innings and took the loss. Flaherty gave up four runs in the first, but settled down and pitched four more scoreless innings. Brett Cecil and John Brebbia each contributed a scoreless inning of relief. Sandy Alcantara pitched the eighth and gave up a two run home run. Sam Tuivailala finished with a scoreless ninth. Thus ends the Cardinals 2017 season. The Cardinals’ 2017 season is over, ending with a 6-1 loss the Brewers. The final season record is 83-79 and the Redbirds finished in third place in the NL Central. The team ended the week 2-5. There really is nothing left to say. 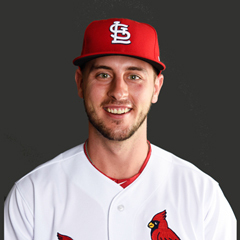 Paul DeJong is batting .385 and has an OPS of 1.082. He has 1 HR, 4 doubles, and 5 RBI. Jedd Gyorko is batting .353 and has an OPS of 1.156. He has 2 home runs and 2 RBI. Jose Martinez is batting .267 and has an OPS of .922. He has 1 HR, 1 double, and 4 RBIs. Luke Voit is batting .500 and has an OPS of 1.750 in 4 plate appearances. He has 1 HR and 1 RBI. 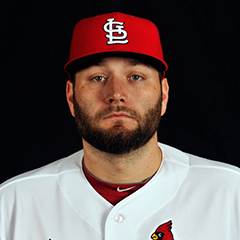 Lance Lynn has an ERA of 1.80 and a WHIP of 1.40. Zach Duke has an ERA of 0.00 and a WHIP of 0.00. Ryan Sherriff has an ERA of 0.00 and a WHIP of 0.75. 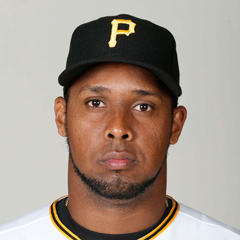 Juan Nicasio has an ERA of 0.00 and a WHIP of 1.50 and had two saves in two opportunities. Sam Tuivailala has an ERA of 0.00 and a WHIP of 0.33. Josh Lucas has an ERA of 0.00 and a WHIP of 1.33. Stephen Piscotty is batting .059 and has an OPS of .259. Carson Kelly is batting .143 and has an OPS of .325. 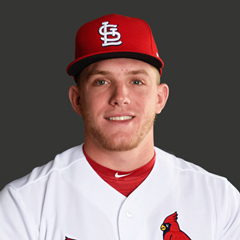 Harrison Bader is batting .125 and has an OPS of .347 in 9 plate appearances. Aledmys Diaz is batting .200 and has an OPS of .400 in 10 plate appearances. Michael Wacha has an ERA of 7.50 and a WHIP of 1.33. Luke Weaver has an ERA of 16.43 and a WHIP of 2.87. John Gant has an ERA of 5.63 and a WHIP of 1.88. Seung-Hwan Oh has an ERA of 18.00 and a WHIP of 2.00. Tyler Lyons has an ERA of 9.00 and a WHIP of 1.00. The leadoff hitter has been Matt Carpenter for five games, and Greg Garcia for two games. The number 3 hitter has been Dexter Fowler for five games, and Paul DeJong for two games. The number 4 hitter has been Jose Martinez for three games, Jedd Gyorko for three games, and DeJong for one game. The number 5 hitter has been DeJong for two games, Stephen Piscotty for two games, Martinez for one game, Kolten Wong for one game, and Yadier Molina for one game. The number 6 hitter has been DeJong for two games, Gyorko for two games, Randal Grichuk for two games, and Harrison Bader for one game. The number 7 hitter has been Piscotty for three games, Aledmys Diaz for two games, Grichuk for one game, and Greg Garcia for one game. The number 8 hitter has been Carson Kelly for six games, and Wong for one game. Free agent-to-be Juan Nicasio stated he wants to return to St. Louis in 2018 and has reportedly asked his agent to try to work out a deal with the Cardinals. The 31-year old right-hander appeared in nine games after joining the team in September, with two wins, no losses and four saves in four opportunities. His St. Louis ERA is 1.64. Nicasio struck out 11 against just two walks in 11 innings. USA TODAY’s Bob Nightengale repeated an earlier rumor that this off-season, the Cardinals will pursue in trade Blue Jays third baseman Josh Donaldson, who has a year remaining on his current contract. RHP Adam Wainwright, LHP Tyler Lyons, 1B/3B Matt Carpenter, and C Yadier Molina, were all shut down for the season this week. Molina had taken two foul balls off his mask in Monday’s game and was in concussion protocol. Carpenter has been suffering from an inflamed right shoulder, Wainwright has had right elbow issues, and Lyons has had knee issues. 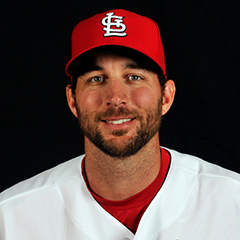 Surgery is planned for Wainwright to repair cartilage damage in his elbow. OF Dexter Fowler was not officially shut down, but had been out of the lineup since Thursday. 2B Kolten Wong (lower back tightness) and 3B Jedd Gyorko (right hamstring) also sat out. Wong did not play after Monday’s game against the Cubs, and Gyorko did not play in the Brewers series. RHP Alex Reyes threw off the mound on Friday for the first time since undergoing Tommy John surgery in February. Reyes’ recovery is on schedule, and the Cardinals are optimistic he will be healthy for the 2018 season. The final week of the regular season is complete. The Cardinals were eliminated from playoff contention in the final game of the Cubs series on Thursday. The season ended on Sunday with a defeat to the Brewers. The Brewers were eliminated with the loss to the Cardinals on Saturday. The Cubs will be the only NL Central team participating in postseason play. The postseason begins on Tuesday, October 3, with the AL Wild Card game between the New York Yankees and the Minnesota Twins. The NL Wild Card game between the Arizona Diamondbacks and the Colorado Rockies will be played on Wednesday, October 4. The NLDS begins on Friday October 6, while the NLCS will be played beginning Saturday, October 14. The World Series begins on Tuesday, October 24. The Cardinals finished the season with a record of 83-79, and ended in third place in the NL Central, nine games back of the Cubs. Typically, very little, if any, offseason transactions occur until after the World Series is completed. Some movement in the rosters is possible, most likely internal paper moves only. The Hot Stove season begins in earnest following the World Series. Offseason awards typically occur within a few days of the World Series and continue for several weeks. Players eligible for free agency shall become a free agent at 9 am EST on the day following the World Series. Further information about upcoming important dates and the rules regarding offseason activity will be provided in future articles. The 2017 Cardinals finished the regular season on Sunday with a record of 83-79. This record placed them third in the NL Central, nine games behind the division-winning Cubs and three games back of the second place Brewers. Four Cardinals teams in franchise history finished the season with the same record. Those teams were 1966, 1977, 1992, and 1998. Two other teams had 83 wins but not 79 losses. Those teams were the 1953 Cardinals, and the 2006 World Series Champion Cardinals. The 1953 team finished 83-71, and the 2006 team finished 83-78. In 1966, the 83-79 finish placed the Cardinals 6th in the National League, in a time before divisions. The 1977, 1992, and 1998 teams all finished third in their division, just as the 2017 team did. Of course, the 2006 team was unique in that they won the division with the 83-78 record. The 1953 team finished tied for third place in the National League with the Philadelphia Phillies. In the decade of the ‘50s, the Cardinals never finished higher than second place, and they accomplished that just one, in 1957. The team finished third three consecutive years, 1951, 1952, and 1953. Of course, the ‘60s were a good decade for the franchise, as they won two World Series titles, and played in another World Series and lost. The ‘70s were another decade in which the Cardinals never finished higher than second place. The third place finish by the 1977 team was sandwiched between two fifth place finishes in 1976 and 1978. The 1990s were a transition decade for the franchise. After being owned by the Busch family since 1953, the Cardinals were sold to a group led by Bill DeWitt Jr, the current owners, in 1995. The Cardinals won their division only one time in the ‘90s, in 1996. The St. Louis Cardinals franchise has a long and storied history. That history consists of decades of success, but few of failure. The 2017 team may not have ended their season in the manner in which fans expected, but the Cardinals have nothing of which to be ashamed. Very few major league baseball franchises can boast of the kind of long-term success the St. Louis Cardinals have enjoyed. Let’s get excited for 2018.